Great leaders are usually hidden from the general public. We may get a glimpse of their talents in a speech or from their colleagues, but we don’t see their attributes on display week after week. One big exception is NFL quarterbacks. These field generals show us the five characteristics of great leaders every Sunday. Peyton Manning is blessed with a laser rocket arm, fantastic work ethic, and an effortless charm that makes him the perfect product pitch man (tapenade anyone?). But what truly sets him apart from his peers is his flexibility. Manning is the master of the audible, with the ability to not only make the play calls, but also to change those calls at the line of scrimmage based on the defensive response. 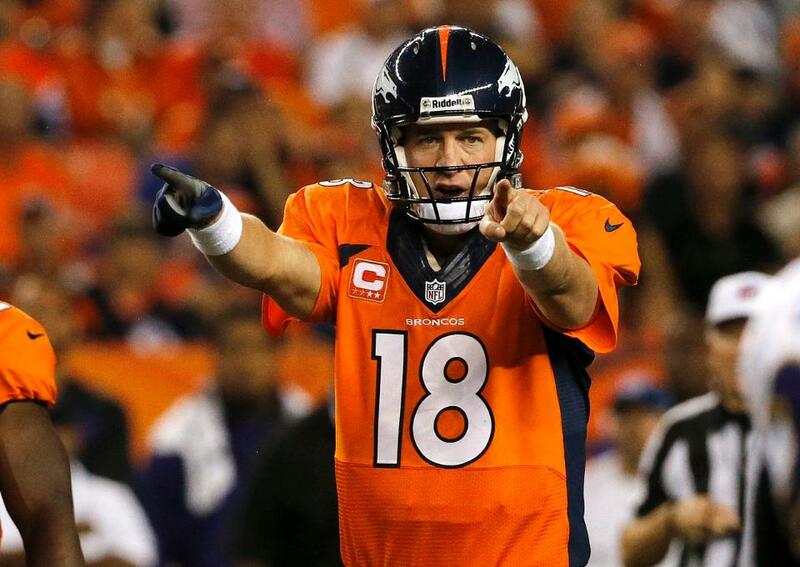 Look to Peyton to learn how to roll with the changes, whether they’re on the gridiron or the marketplace. 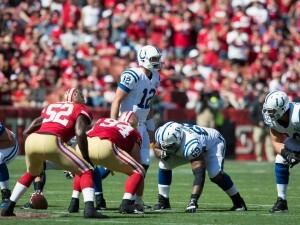 According to the Indianapolis Star, it’s Luck’s leadership ability that has made the biggest impression on Hasselbeck. “I really didn’t know what kind of leader he was in the locker room,” Hasselbeck said. “It just comes real natural to him. He’s got a great sense of when to pull somebody aside, how to deal with coaches, just how he treats everyone around him. A leader who masters communication can not only empower their employees and teammates by stating clear goals, they also effectively bubble up issues higher when needed, acting as the eyes and ears throughout all levels of the organization. 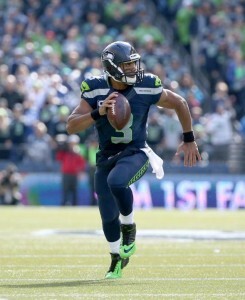 Even though he only played for my Wisconsin Badgers for a single season, Russell Wilson is still dear to my heart. As a testament to his leadership abilities, his fellow Badgers made him team captain after just two months. Constantly doubted due to his height, Wilson dug in and worked harder than anyone to prove his critics wrong. His personal charisma and drive to succeed make him an excellent example of an inspirational leader. 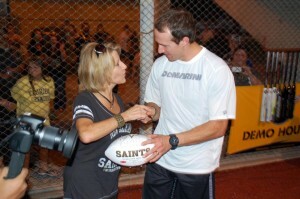 Drew Brees is the embodiment of the humble leader. Even when breaking an individual record, he takes care to share the credit. By demonstrating that he truly believes there’s no “I” in team, he gains the absolute respect of that team and whether it’s on a football field or in a cubicle farm, people are more likely to do their best for a leader they respect. I really like that last quote for two reasons, first because it’s not just Rodgers taking individual blame. The whole team has to take blame, but Rodgers, as the leader, is the face of that blame. But he’s not letting his teammates off the hook. They have improvements to make too. I also like the quote because even while he’s accepting blame and talking about defeat, he’s still able to highlight the things that went right. You can’t motivate people by just pointing out their flaws. That’s just depressing. A great leader has a responsibility to build you back up, which is what Rodgers does via these postgame quotes. 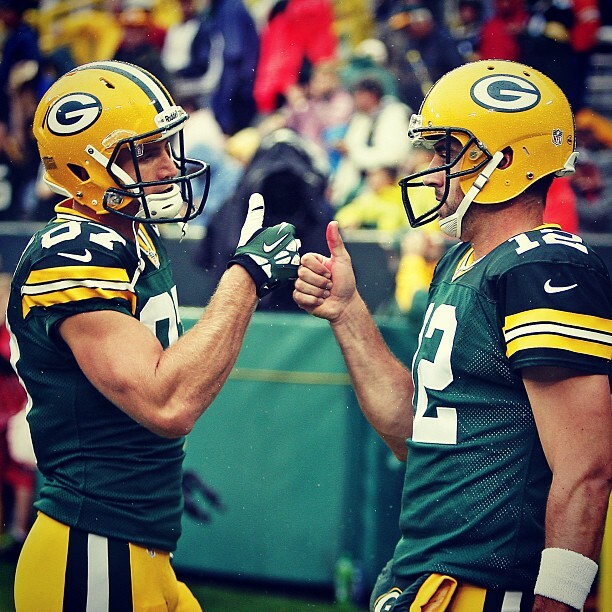 When it comes to leadership, it doesn’t matter if you’re working at Lambeau Field or from a remote office or whether the tools of your trade are footballs and cleats or VoIP phones and a laptop. You can easily apply the lessons you learn from your favorite team’s quarterback on Sunday (unless he’s Christian Ponder, sorry Vikings fans, I kid because I love) to your business on Monday. Is going global your next market opportunity? Are you ready?